Confidently commenting on the execution of Libya's long-time dictator, Barack Obama stated that "the death of Mu'ammar al-Qaddafi showed that our role in protecting the Libyan people, and helping them break free from a tyrant, was the right thing to do." About his own decision to pull all U.S. troops from Iraq in two months' time, Obama asserted that "In Iraq, we've succeeded in our strategy to end the war." He then drew triumphalist conclusions from these developments, bragging that they show "The tide of war is receding" and "we've renewed American leadership in the world." How handy: as Obama's disliked domestic policies (especially concerning health care and employment) sink his popularity, he now claims foreign policy successes. Democratic Party flacks tout his international achievements: "Terrorists and dictators," says one, "lacking the filibuster, have no effective defense against Barack Obama." But the Middle East teaches caution; much will probably go wrong in Libya and Iraq. 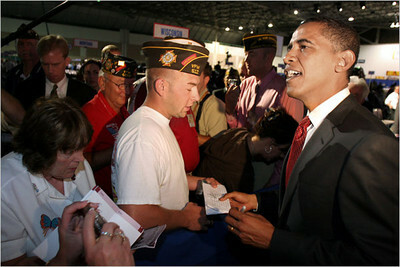 Obama, I predict, will rue his rash boasts. 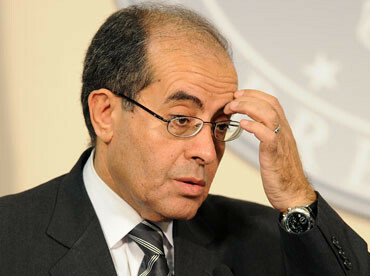 Mahmoud Jibril served as Libya's interim prime minister. In Libya, it is unclear who will emerge dominant in the National Transitional Council attempting to rule the country. Two figures represent the likely alternatives. Mahmoud Jibril (b. 1952; also known as Mahmoud Gebril ElWarfally) served as the NTC's interim prime minister. He earned a Ph.D. in political science from the University of Pittsburgh, where he taught strategic planning. He has published ten books, including the well-received Imagery and Ideology in U.S. Policy Toward Libya, 1969-1982, and founded an eponymous professional training and management consulting company. In contrast, Abdel-Hakim Belhaj (b. 1966), Tripoli's military leader, went to Afghanistan in 1988 to fight the Soviets, served as leader of the Libyan Islamic Fighting Group, was arrested in 2004 by the CIA which turned him over to Qaddafi, who jailed him until 2010. Differences between the two could hardly be starker: one Libyan leader held a prestigious academic post in the United States while the other claims to have been tortured by the CIA. One wants to integrate Libya into a Western-led order, the other dreams of a revived caliphate. 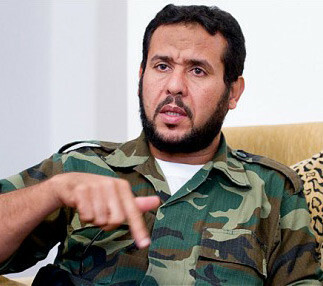 Abdel-Hakim Belhaj is the most powerful military ruler in Libya. While Belhaj has stated his loyalty to the TNC under Jibril, he has also resisted its efforts to take control of the military units. As Patrick J. McDonnell of the Los Angeles Times delicately put it, "How exactly the relationship between the civilian leadership and the disparate military units will work remains unclear." More troubling yet, Jibril announced his resignation on Sunday, just as the NTC chairman called for a constitution "based on our Islamic religion." If Libya goes Islamist, Obama would pine for Qaddafi. In Iraq, Obama's claim about ending the war reminds one of George W. Bush's much-ridiculed "Mission Accomplished" speech of May 1, 2003, when he prematurely announced that "In the Battle of Iraq, the United States and our allies have prevailed" just as the real war had just begun. With U.S. forces now pulling out, Tehran can begin in earnest to take over the country and turn it into a satrapy (the ancient Persian word for a subordinate polity). Despite American warnings, Tehran already interferes in Iraq's politics, sponsors militias, supports terrorism, and has sent its own forces into the country – and is preparing to do more. As Max Boot writes, the withdrawal of American troops means that the "risks of a catastrophic failure in Iraq now rise appreciably. The Iranian Quds Force must be licking its chops because we are now leaving Iraq essentially defenseless against its machinations." Baghdad tries to appease Iranian threats; for example, its chief of staff proposed a regional security organization with Tehran. If Iranian efforts succeed quickly, they might do significant damage to Obama's electoral prospects a year from now. "Who lost Iraq?" could become a potent Republican battle cry. That Obama declared American efforts to stabilize Iraq a "complete failure" already in 2007 sets him up to take the blame for that very failure. Barack Obama announced in August 2007 that American efforts to stabilize Iraq were a "complete failure." Even if Iraq holds until the U.S. elections in 2012, I predict that in 5-10 years the American effort in Iraq (and, similarly, in Afghanistan), with all those expenditures and lives lost, will have been for naught. When future analysts seek what went wrong, they might well focus on Obama's clueless statements. As Belhaj will likely prevail over Jibril, so will Iran over Iraq. If so, Obama and the Democrats will regret today's myopic over-confidence.